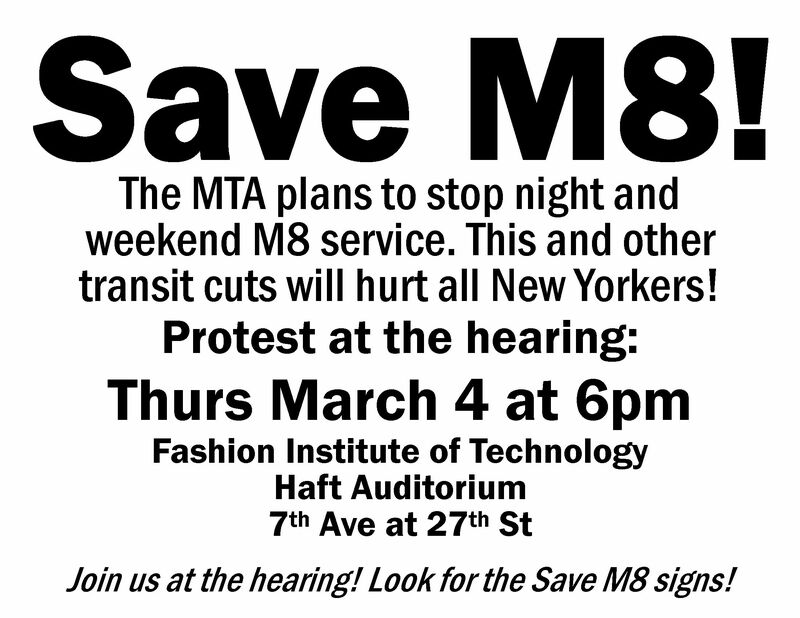 Home » News and Events » Events » Save the M8 Bus! 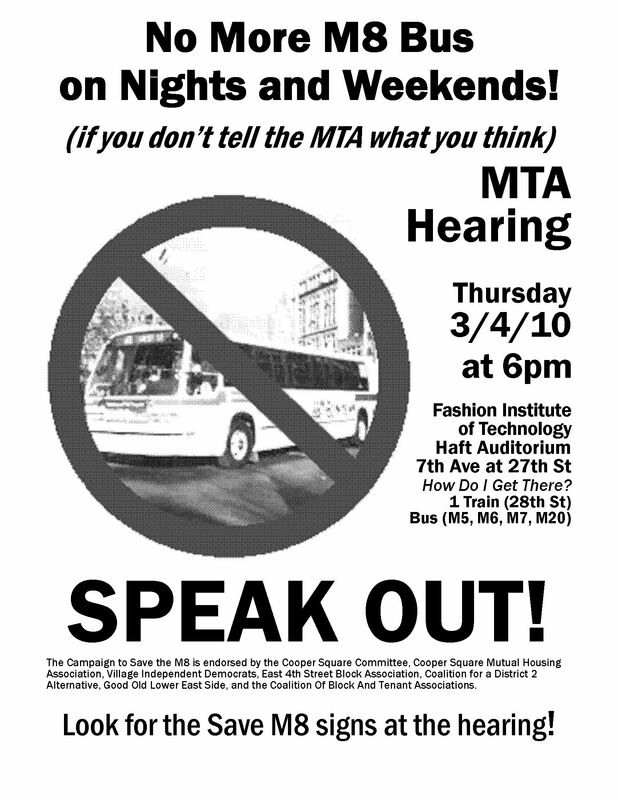 The MTA plans to stop weekend and night M8 service! 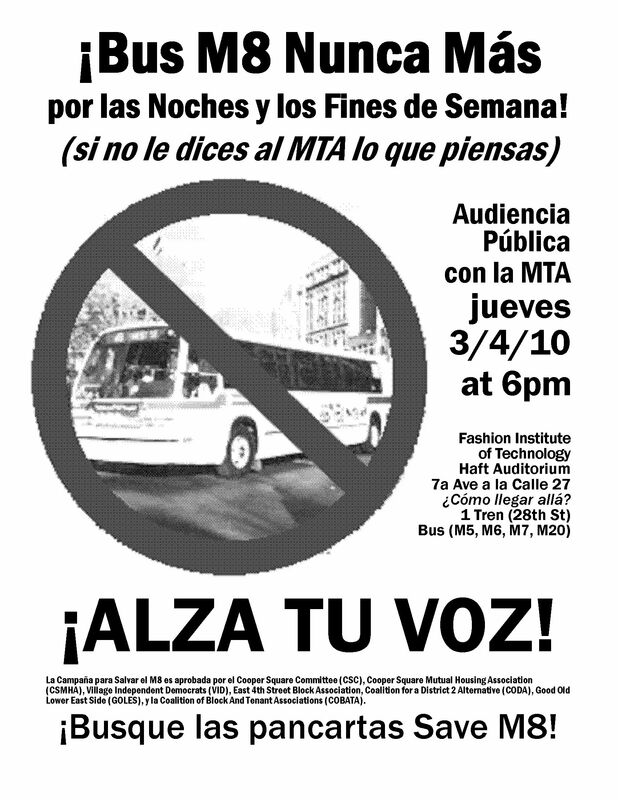 This and other transit cuts will hurt all New Yorkers! Join us at the hearing! 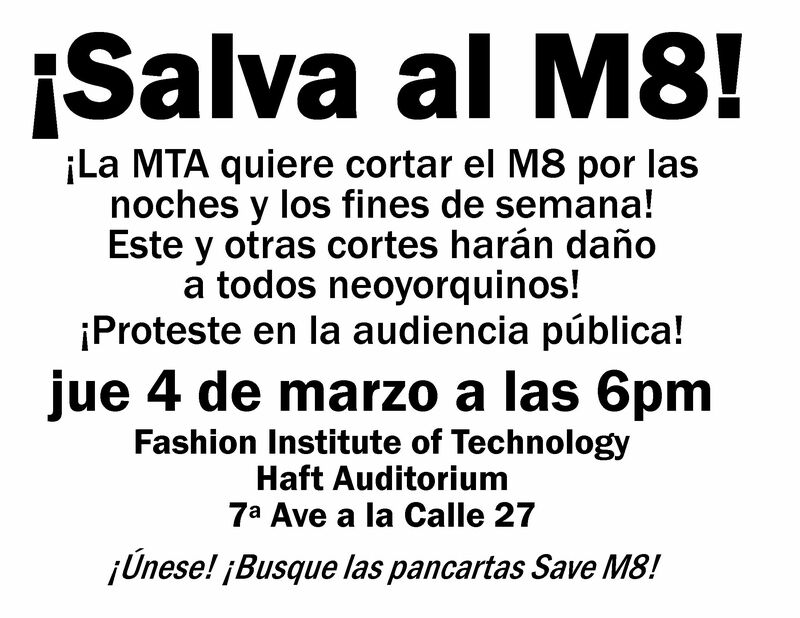 Look for the Save M8 signs! For the flyers click below. Download a PDF of these 4 flyers.